It’s been another record-breaking year for streaming service Netflix. As we approach the end of 2017, here’s our look back at the shows we just couldn’t get enough of. A mind-boggling 140 million hours of entertainment were consumed on Netflix… every day! The biggest single day for viewing around the world was January 1st (start the year as you mean to go on) and that all adds up to 1 billion hours streamed per week. 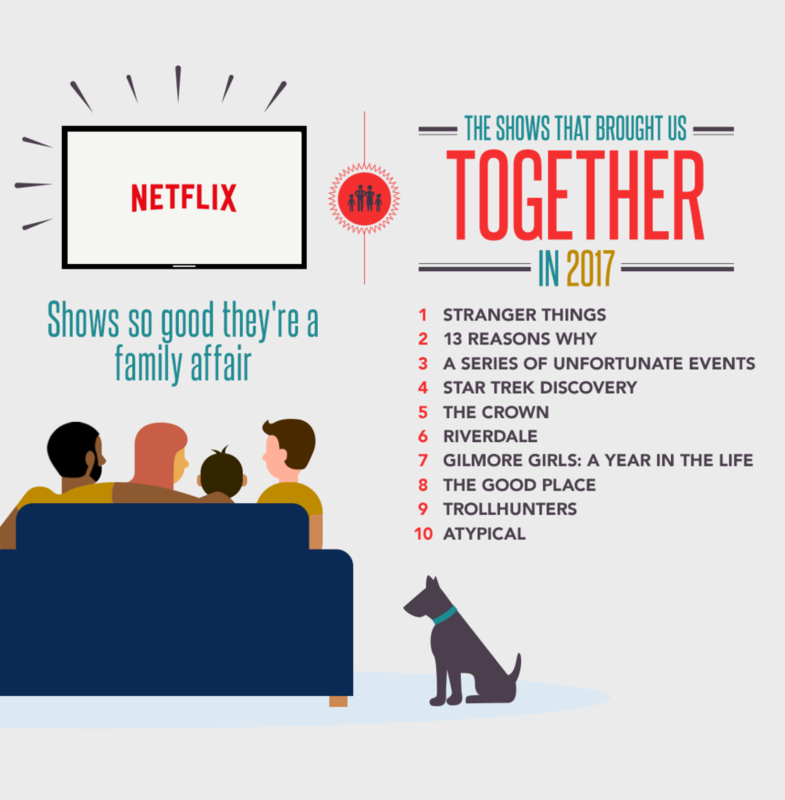 The UK’s most popular streaming day was Sunday 29th October – it just so happens we had an extra hour with daylight saving on that date, helping to squeeze in ‘just one more episode.’ It was also the weekend Stranger Things 2 arrived on our screens (27th Oct), so there is no coincidence that it was 2017’s most binge-raced show in the UK, with a great number of subscribers watching the entire series in under 24 hours on the day of launch. 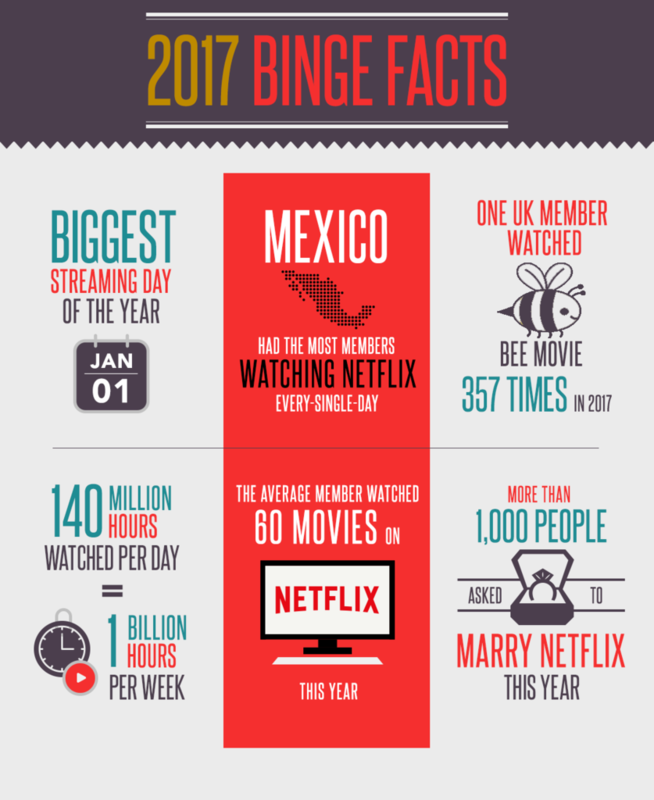 Plus, a member in the UK watched Bee Movie 357 times in 2017. Anyone care to admit to that? 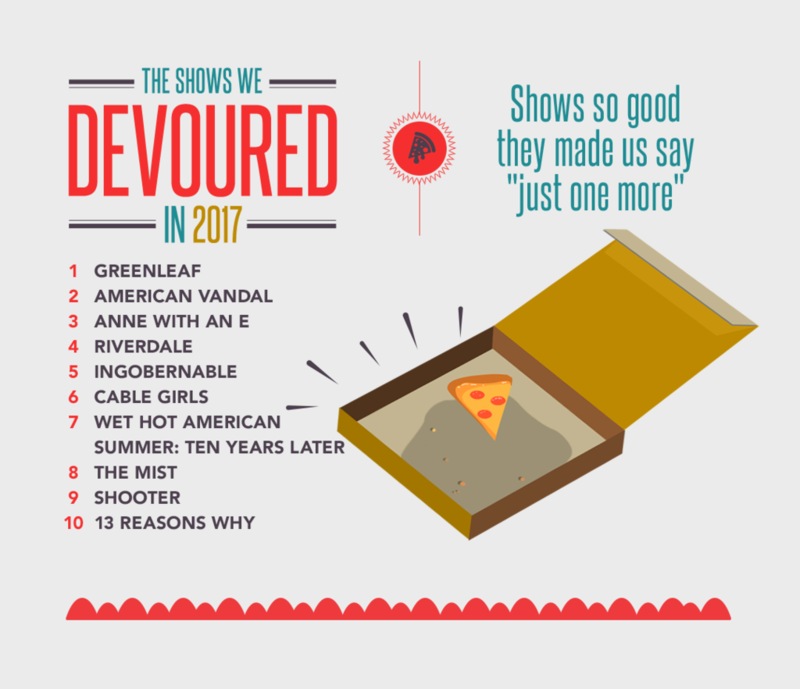 Breaking down viewing habits even further, we can see a surprising entry as the show we devoured the most. Of all the shows on Netflix, it was Greenleaf that had audiences streaming more than 2 hours per day. This suggests fans couldn’t get enough of the show and wanted to consume as much as possible! There are some big names omitted from this particular list, but don’t worry, the more traditional favourites did show up elsewhere. 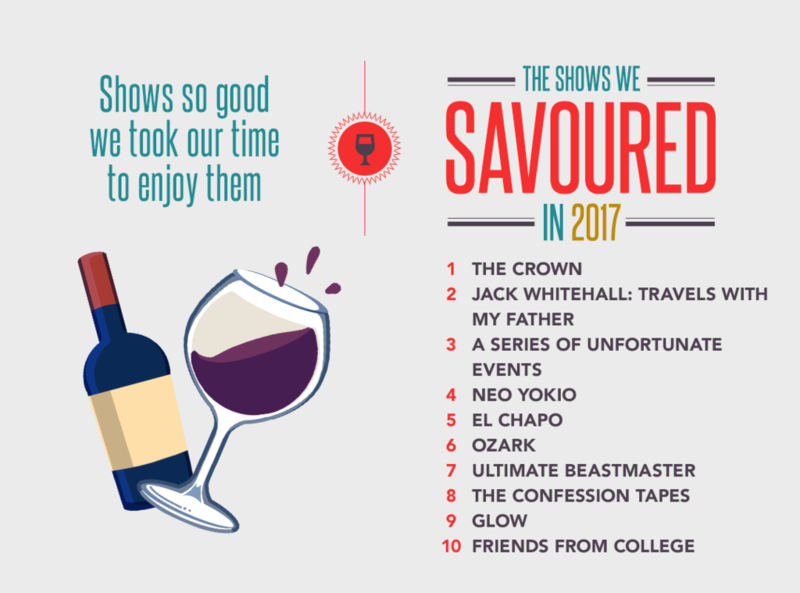 For shows that we savoured (those that were watched less than 2 hours a day) we find The Crown claiming the throne. Travel concept Jack Whitehall: Travels with my Father was second on the list. The series saw British comedian Jack Whitehall embark on a series of international adventures with his father, and proved popular with fans around the world. Now we move onto the shows that could potentially lead to major relationship issues… the series that we just couldn’t wait to finish and watched on our own. Leading the way is the ever-popular Orange is the New Black, which returned to screens earlier this year in a controversial format that condensed the action into a few hours. Stranger Things also ranked high here, suggesting that Eleven and her friends provided TV we just couldn’t wait to watch. So what did we enjoy watching together? 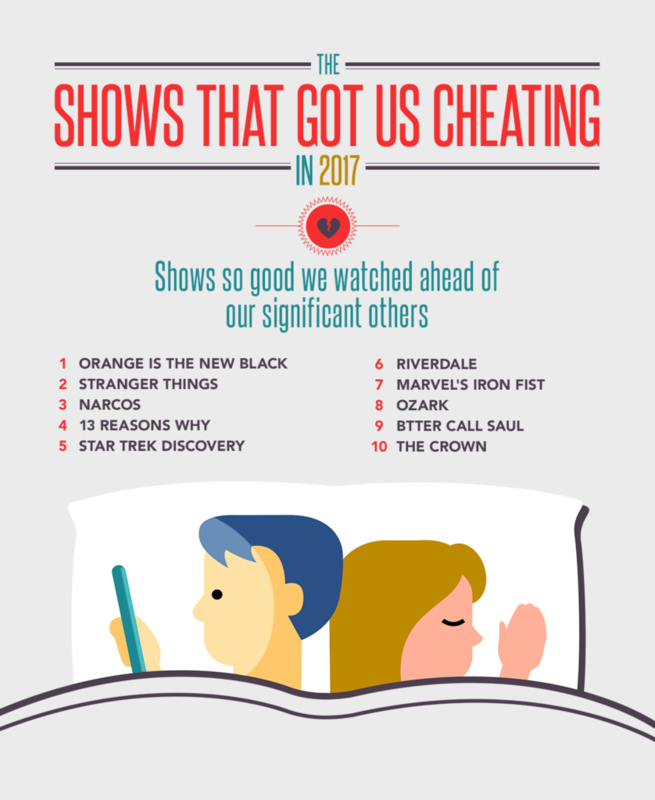 Well, even though a great many people took to Netflix alone to watch the second series of Stranger Things, many more stuck it out and binged the show together. Family shows included the returning Star Trek series as well as one of our highlights of the year, the superbly amusing The Good Place. 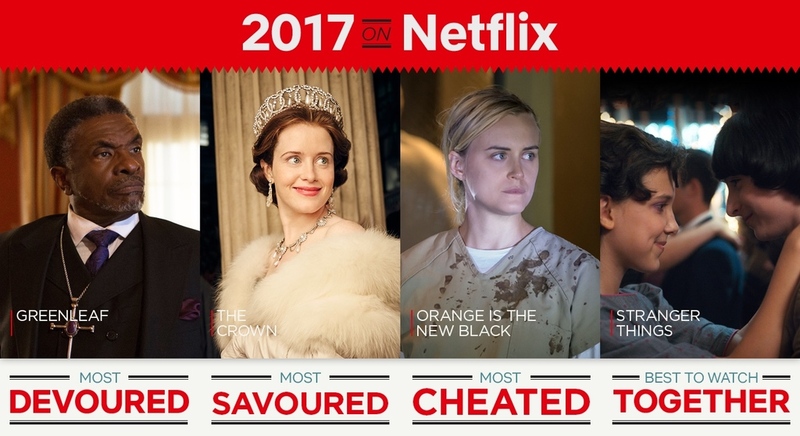 Data based on more than 60,000 survey responses from Netflix members.